To borrow an old line from the Jimmy Buffet song, “It’s Five O’Clock Somewhere,” so pour something tall and strong. In this case, it’s the Cranberry Lime Refresher and it’s easy to make. Fill a serving glass with ice. Add vodka and cranberry juice and stir. Fill with rosé wine. Garnish with lime slice and serve. Did You See That Red Zebra? 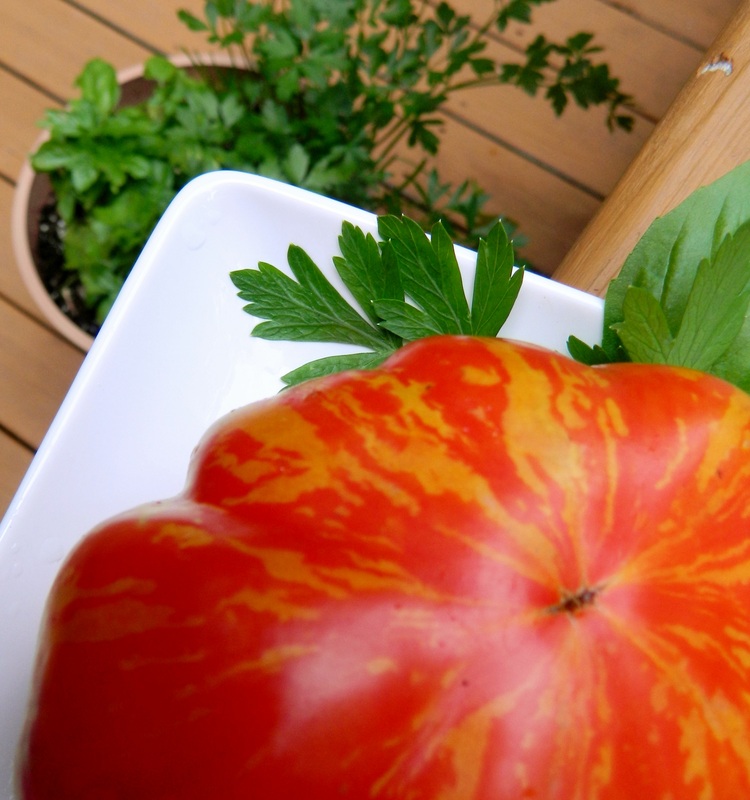 …A Red Zebra tomato that is. I spotted them at the farmer’s market and just had to have some. What is so special about them? They are gorgeous! But more than that…they are good for stuffing because their insides have very little pulp and are nearly hollow. It is easy to scoop out what little pulp there is and stuff with your favorite fillers. 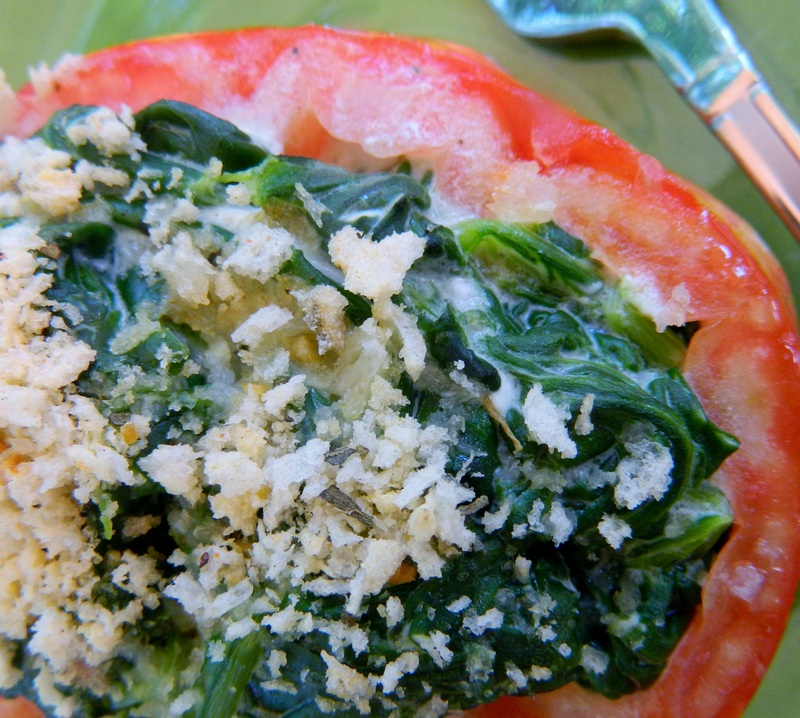 Speaking of favorite tomato fillers, here’s my recipe for Spinach Stuffed Tomatoes. 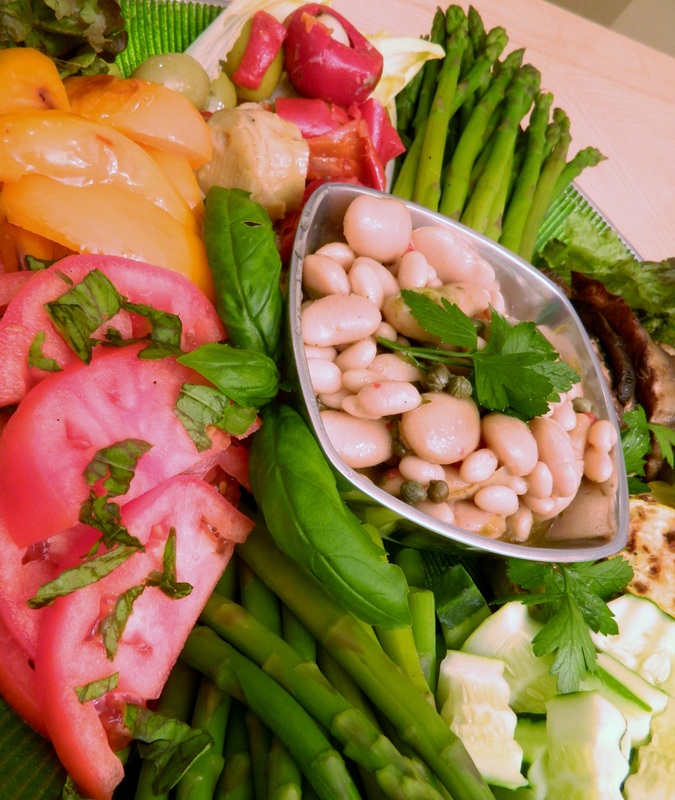 These make a great summer accompaniment to grilled chicken, fish or steak. You can make them ahead and bake later in the day. You can make the spinach stuffing two days in advance but don’t stuff them. Do that when you are ready to bake them. Steam spinach in about 1 cup water until tender but not mushy or overcooked. Drain spinach and while the spinach is hot, stir in cream cheese, butter, scallions, salt and pepper and herbs. Mix well with a fork. Stuff each tomato until full. Mix Parmesan cheese and bread crumbs with melted butter. Sprinle a few tablespoons on top of each spinach mixture. Bake in 350⁰ for about 20 minutes. Serve warm. Cool summer sips are perfect for relaxing — whether it’s herbal iced tea, freshly-squeezed lemonade or something more potent. Mix up some Jalapeño Margaritas and invite some friends over. Add some chips, salsa and sour cream to munch on and you have yourself a G.T. (Get Together). Pour some salt out onto a flat plate. Rub 1 lime wedge around rim of glass. Dip rim in salt and set aside. Place jalapeño and 2 lime wedges (or 1/2 lime) in a cocktail shaker. Muddle until slightly mashed. Add ice, sour mix and tequila. Cover and shake vigorously. 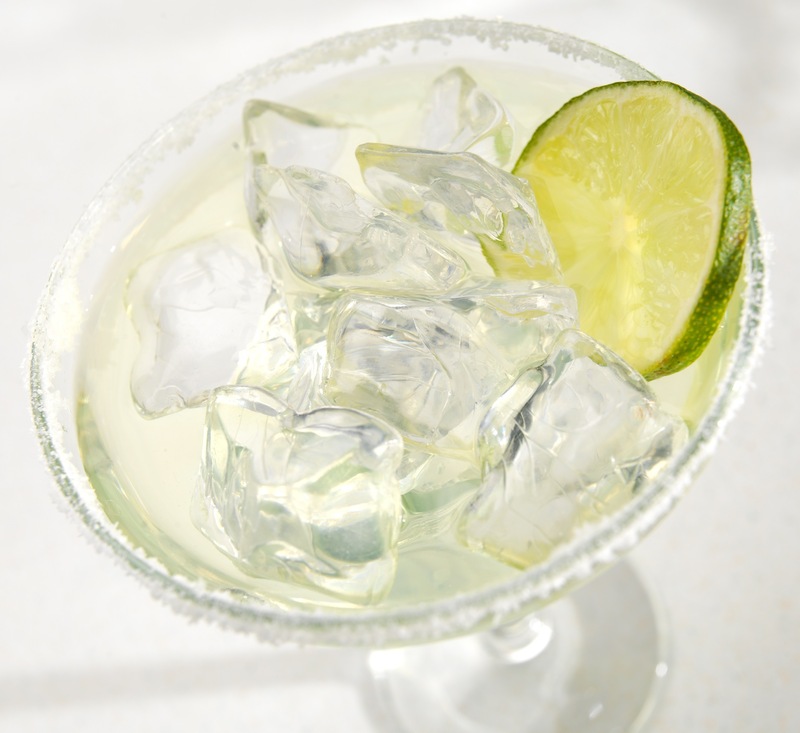 Strain into chilled glass, garnish with lime wedge or slice and serve cold. Recipe by Karen Covey. Photo by Cassandra Bircocco. Recipe featured in summer issue of Celebrate Home Magazine. The weekend’s almost here and watermelon is a plenty. There’s nothing like a cool summer drink to welcome friends. Here’s a new one by Karen Covey, author of The Coastal Table, just released this summer. Karen teams up with photographer Cassandra Birocco to give recipes for home cooks who yearn for New England flavors all year round. Serve this with salted nuts and relax on the porch, deck, or by the water. Most of all, serve it with a smile. Make simple syrup. Place 1/4 cup sugar in a saucepan along with 1/4 cup water and bring to a boil. Stir until sugar dissolves, about 2 minutes. Remove from heat and allow to cool completely. When cooled, add 1 tablespoon simple syrup to a cocktail shaker (Reserve extra in a well-sealed bottle in the refrigerator for later use). In a blender, purée watermelon until smooth. 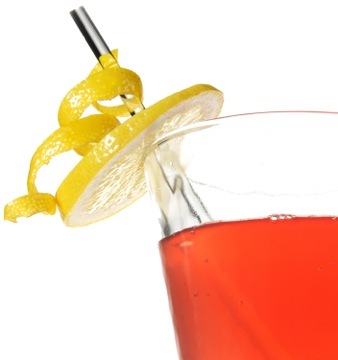 Pour through a fine-mesh strainer, pressing gently to extract as much juice as possible. Discard pulp. 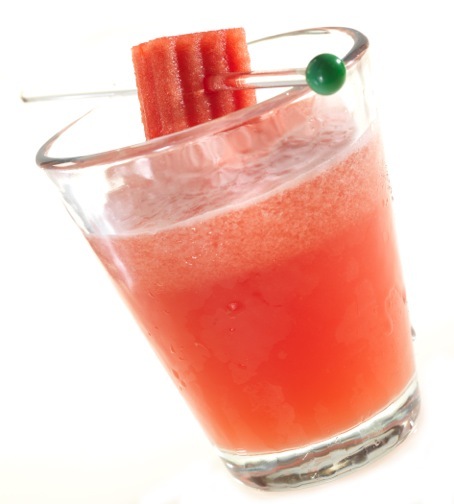 Add watermelon juice to cocktail. 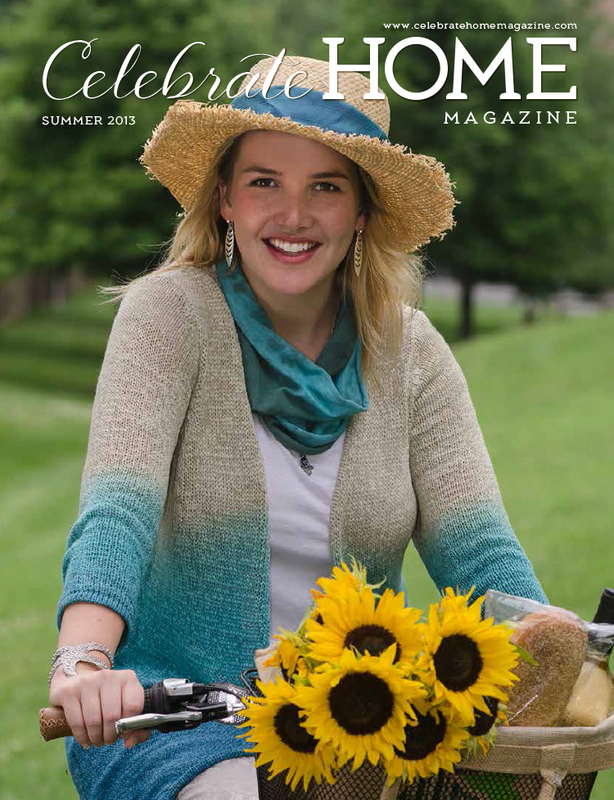 More of Karen’s drink recipes can be found in the summer issue of Celebrate Home Magazine. Download all issues for free here. Mix together mascarpone, yogurt, vodka, lemon juice, and sugar. Refrigerate for 10 minutes. 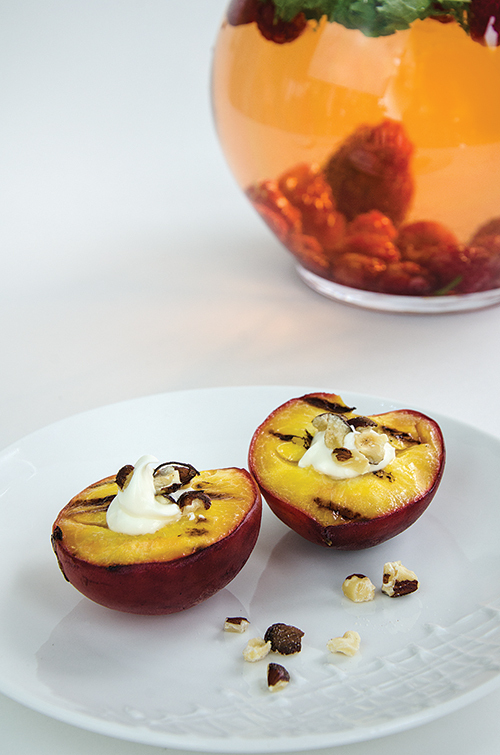 Cut peaches in half lengthwise and remove pits. Lightly coat the inside half of the peach with canola oil. This is to prevent the peaches from sticking to the grill. Reduce heat on grill to medium. Place peaches on grill with the flat side down. Let peaches cook 5 minutes, until you see grills marks on the peaches. Remove peaches from grill. Serve 2 halves, each topped with 1 tablespoon mascarpone mixture and a sprinkle of hazelnuts on top. See Summer Table: Sunshine Yellow for last week’s table idea. 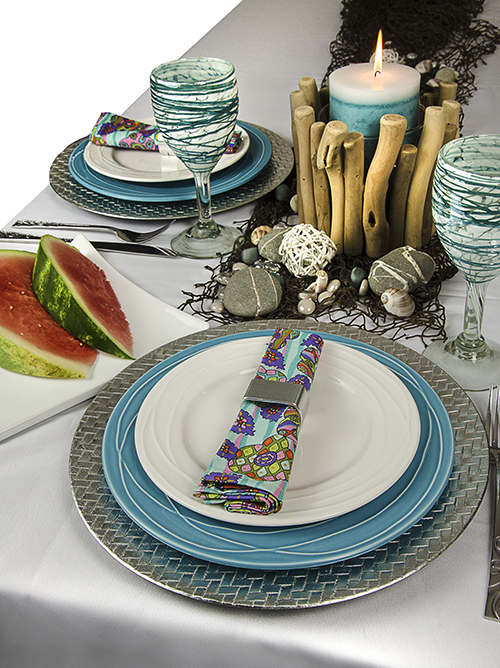 These summer table ideas are featured in this issue of Celebrate Home Magazine. Download it for free. Photo by Cindy Dyer.